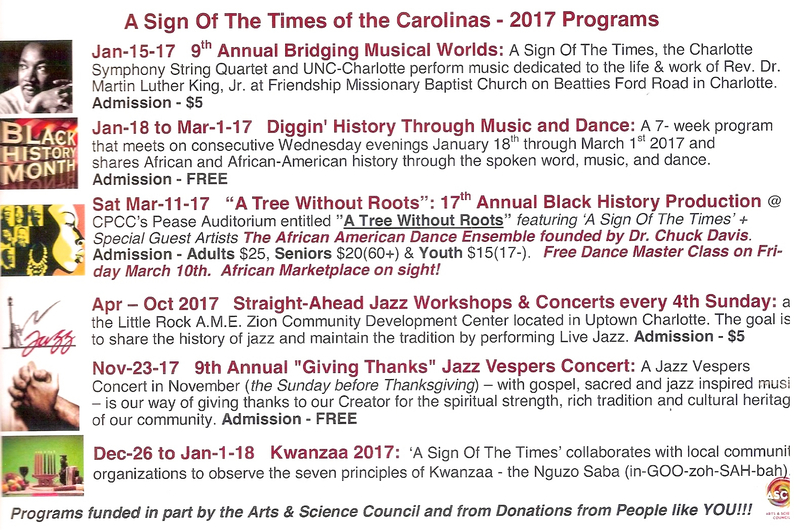 A Sign of the Times is a performance group dedicated to “preserving the legacy of the African Diaspora through music, dance and the spoken word.” It is Toni Tupponce’s life work. In her presentation about the group’s work, she highlighted efforts to engage young people to take the stories – “the truth,” as Tupponce calls them – and present them in new ways that will be accessible to their own generation. 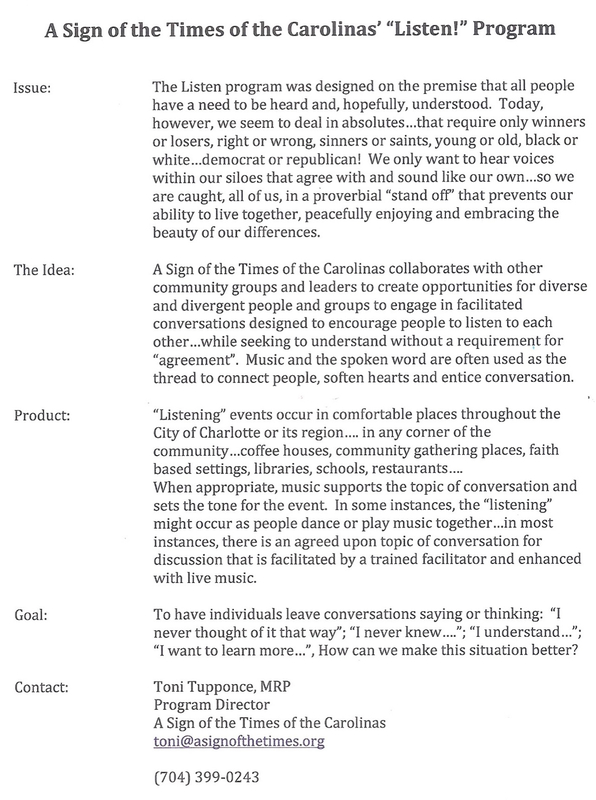 Tupponce shared fliers about the work of A Sign of the Times. They are here and also below the video. During Tupponce’s appearance, she also spoke and answered questions about the Charlotte Regional Transportation Planning Organization. That material is here. While the presentations were separate, the Q&A wound the two subjects up together in the video below. 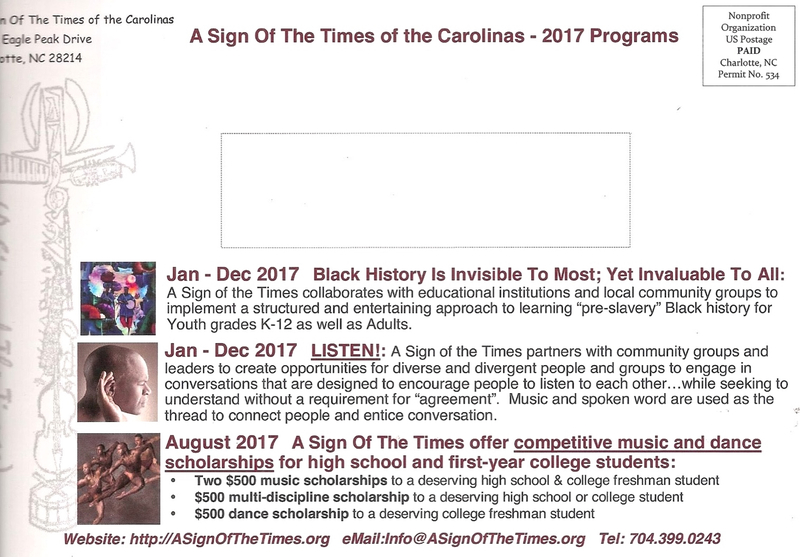 Tupponce’s presentation on A Sign of the Times begins at minute 20:27 and is followed by the combined Q&A at minute 36:33.